I’ve been using a whitening toothpaste for as long as I can remember – add to that regularly using coconut oil or whitening strips – I’m pretty obsessed with having a Hollywood smile. But to be honest my teeth never really seem noticeably whiter. I’m also watching the whole boxset of TOWIE from the start on Netflix at the moment so their veneers are making me super jel! I don’t think I would ever dare go through extreme dental treatment to get the whiter teeth I’d like so I need to find a non-surgical, easy alternative. Then I heard about AP 24 Whitening Fluoride Toothpaste and I knew I had to try it for myself. Lots of my family have been using the toothpaste and their results are incredible – noticeably a few shades whiter. This toothpaste contains no harmful peroxides but brightens and whitens teeth while fighting plaque formation. It also helps remove stains (massive plus for an obsessive coffee drinker like myself!) and helps prevent cavities. The instructions recommend to brush after every meal or at least twice a day, and you only need a small amount on your brush which means a whole tube lasts ages! It’s also really easy to incorporate this into your daily beauty routine, as everyone brushes their teeth. To be honest, I’ve not been brushing after every meal (I haven’t taken the toothpaste to work for example!) but my teeth are noticeably whiter, especially at the front and top. 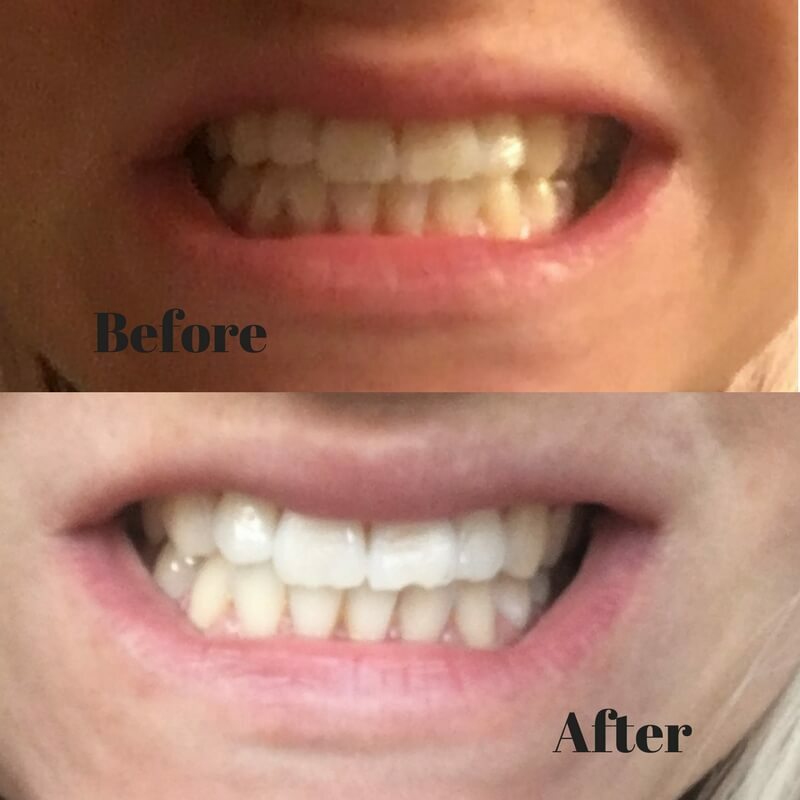 To get whiter teeth for yourself or just to see some more amazing results (honestly, you won’t be able to believe your eyes!) then join the La Luna group on Facebook. 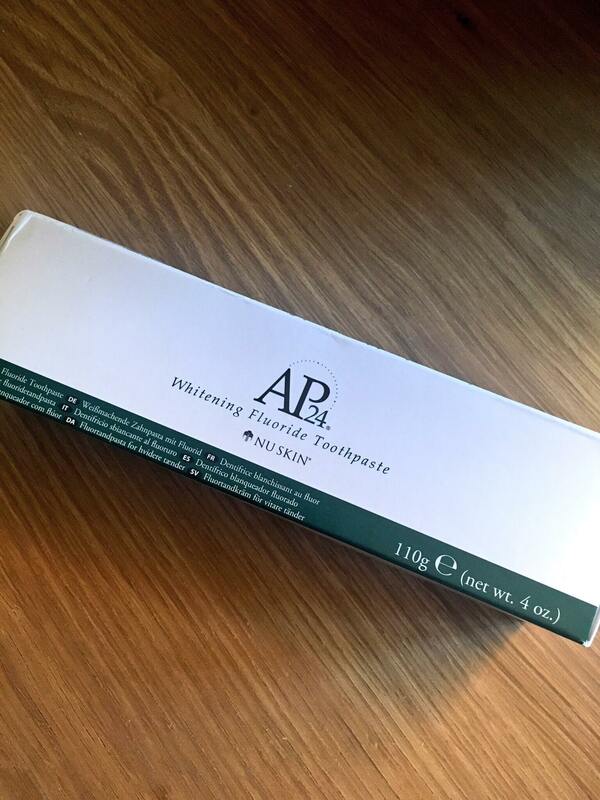 The AP 24 Whitening Fluoride Toothpaste is just £10 for a tube and you can expect to start noticing results in two weeks of brushing at least twice a day.